Approx 1 – 2 hours. 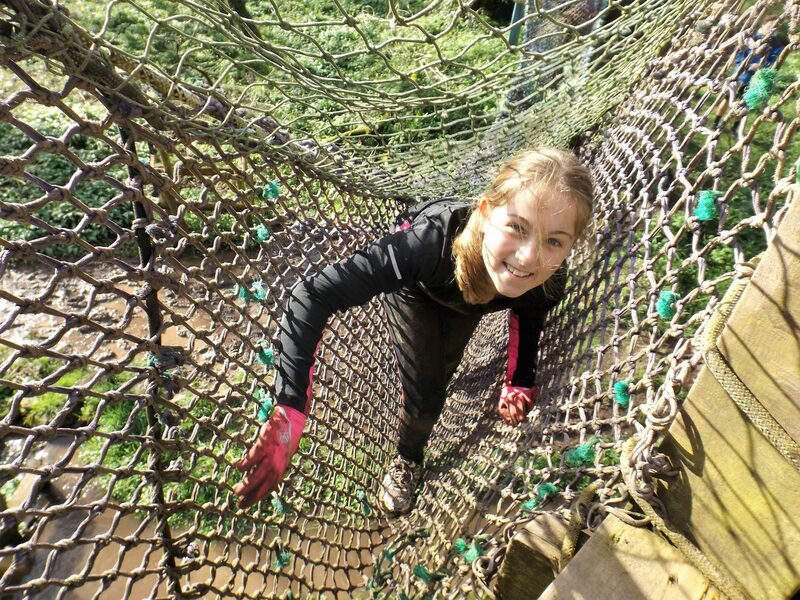 Using a natural waterway as your guide, the objective is to complete the route whilst negotiating and overcoming various obstacles on the way. 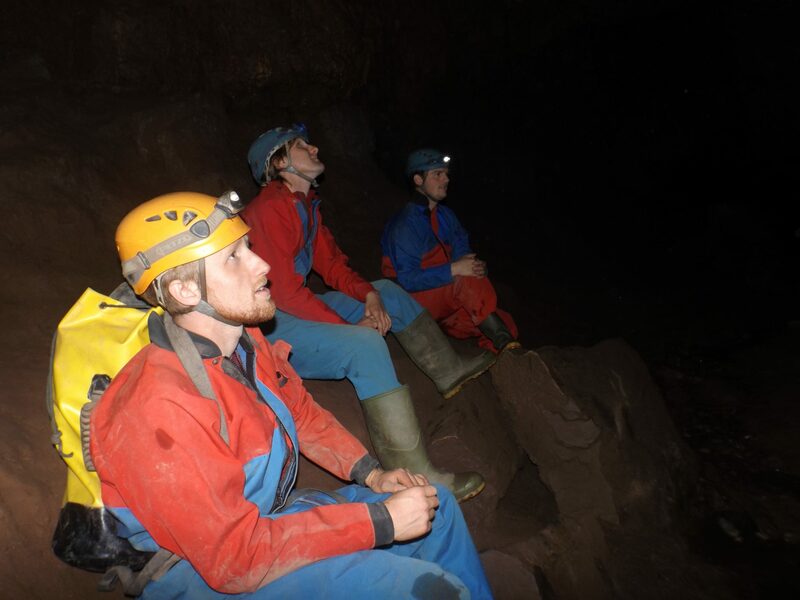 Explore our local cave system, discovering some interesting features whilst hearing stories of past bandits and pirates that used the network of underground passages. Subject to seasonal restrictions, May – October only. 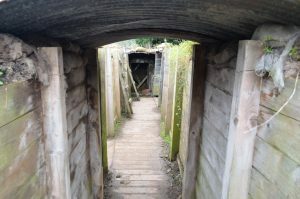 Within a short walk of the centre. Test your nerve as you lean back over a disused 40-foot limestone quarry face. Involves a local coastline expedition from Pendine Sands to the next nearest cove Morfa Bychan Bay. On-route there will be the opportunity to explore a cave, jump from headland points and swim in beautifully clear water. 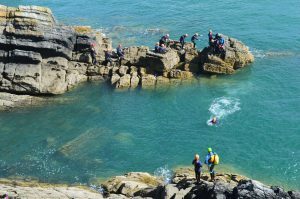 Pembrokeshire’s stunning coastline offers an adventure playground perfectly designed for Coasteering. Participants will explore the rugged landscape along the intertidal zone whilst discovering different ways in which to negotiate the route. 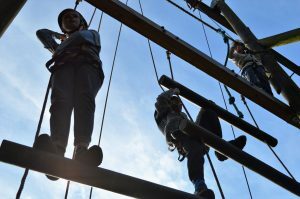 This ever as popular activity involves – sea/adventure swimming, climbing/scrambling, jumping/diving. Encompasses a number of different activities including climbing, rock scrambling, swimming & canyoning. 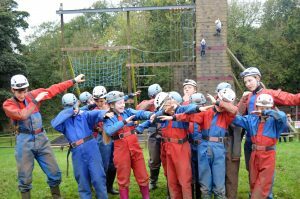 Set in the heart of the Neath Valley with rivers and waterfalls as a backdrop the activity takes those involved on a wonderful journey through a very special place. Approx 2 – 3 hours. 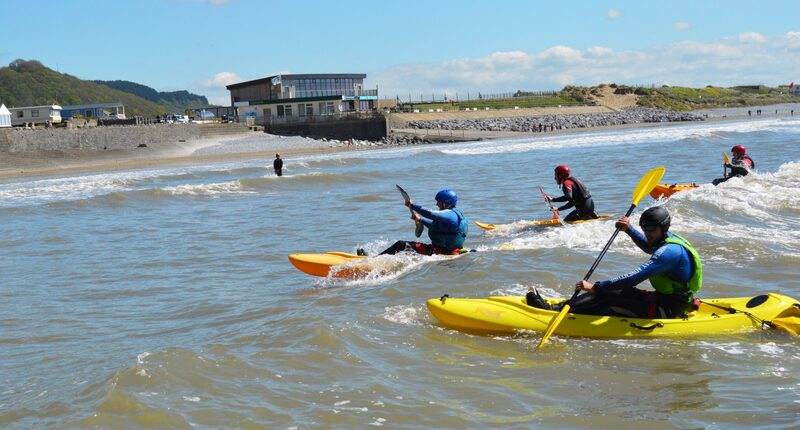 As the only provider based in South West Wales, this unique weekend activity at Pendine Sands offers an exhilarating land sailing experience. Famous for its motorised speed records the beach provides the ideal venue with endless flat sands and panoramic views of Carmarthen Bay and beyond. Suitable for beginners as participants are under the careful guidance of a qualified instructor and led through a step by step process from the setup of components to actual sailing of the craft. South West Wales is regarded as one of the best spots for coastal climbing in Europe. The spectacularly rugged coastline creates the perfect venue for climbers of varying ability and experience. With both Pembrokeshire & Gower within an hour reach we are spoilt for choice in terms of locations, rock types and varying degree of difficulty. Experiences may vary in price depending on the size of the group/booking. Full day 5 – 6 hours.